With a rather clever instrument, it is possible to measure how ‘healthy’ our plants still are. 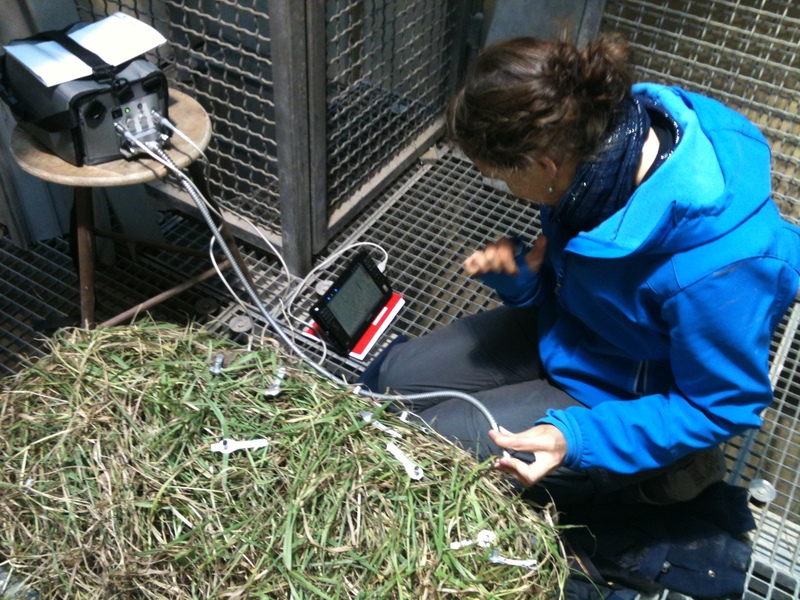 The PAM (pulse-amplitude-modulation) instrument is used to record the state of the plants’ photosynthesis system. Whether a plant photosynthesises well or not so well depends on the stress it is exposed to. While we are becoming increasingly stressed humans as the experiment is going on, our plants in the flume seem to be surprisingly ‘chilled out’ – little sign of stress so far, compared to our ‘control treatments’ and in as far as the PAM measurements are able to indicate.